Captivating location in the heart of Medina yet private setting makes Mallards Cove a grand choice for purchasing a condo! Ease of highway access makes commuting easy. Nearby you will find alluring Medina highlights such as Square South Street, the impressive Medina Square Courthouse and brilliant Medina Firehouse! The Square Gazebo is an attractive sight to see, especially during holidays when Medina goes to great lengths to decorate this fabulous town. With plenty around to explore and see, Mallards Cove caters to those looking for affordable yet luxury and maintenance free living. Why rent when you can own today! Call one of our Medina specialists today and find out more information! 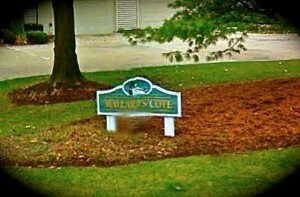 Contact us for a private showing of Mallards Cove Condos for Sale.